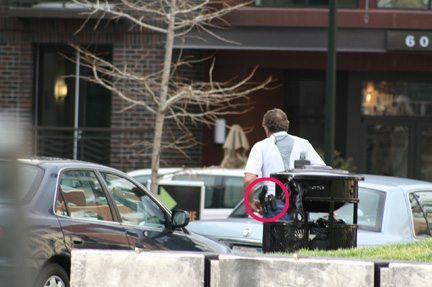 One of the security company's plain-clothed, gun-toting agents on the sidewalks in front of SEIU-UHW's Oakland office before the trusteeship. An unexpected lawsuit has provided dramatic new details about who SEIU is hiring – and how much money it’s spending – to carry out its trusteeship of SEIU-UHW. On Friday, an international security company sued SEIU in federal court for failing to pay all of its $2.2 million in bills for surveillance and security services related to the trusteeship. The company, called the OSO Group, is just one of several security companies hired by SEIU to carry out the trusteeship. The OSO Group provides surveillance, intelligence, counter-terrorism and other services to multinational corporations and describes itself as “the first commercial counter-espionage group established in the private sector.” Its leaders and staff are mainly former agents of the U.S. Secret Service, FBI and CIA, as well as national law enforcement officials. One of the company’s top executives – Garnett Williams, an ex-Secret Service agent who has been working directly with SEIU on its trusteeship of SEIU-UHW – is a former executive of the Steele Foundation, a strike-breaking company hired by Sutter Health to break a 60-day strike by hundreds of SEIU-UHW members in 2005. In an infamous incident during the strike, security guards kicked and punched workers on the picket line, most of whom were women. Dietary Aide Lorena Hernandez was hospitalized after a guard knocked her to the ground and kicked her repeatedly in the abdomen. According to the recently filed lawsuit, SEIU officials contacted the OSO Group’s Garnett Williams on January 14, 2009 through a former U.S. Secret Service agent to request the company’s assistance in putting SEIU-UHW in trusteeship. The timing of SEIU’s action is notable. SEIU officials hired the company more than a week before Trusteeship Hearing Officer Ray Marshall had presented the findings of his trusteeship investigation to SEIU’s International Executive Board for its consideration. On January 15th the OSO Group began its operations for SEIU, according to the lawsuit. It deployed off-duty and retired police officers – at $110 per hour – to conduct 24/7 surveillance of UHW’s offices. The agents, who were stationed in cars outside SEIU-UHW’s offices, attempted to intimidate union members and staff by photographing and videotaping them as they came and left the offices. According to the lawsuit, SEIU’s demand for security and drivers “continued to increase exponentially at business facilities, hotels, and private residences.”In mid-January, the OSO Group established a 24/7 “Command Post” at a hotel in Oakland to “coordinate the large amount of manpower, logistics, and scheduling” demanded by SEIU. The lawsuit also contains a stunning disclosure about SEIU’s efforts to surveil its own members’ union meetings. In the first known acknowledgement of this matter, the lawsuit indicates that SEIU directed the OSO Group to conduct “a security and surveillance operation” targeting thousands of members who attended five SEIU-UHW membership meetings held in schools and auditoriums across the state on January 24th. At the meetings, union members discussed SEIU’s demand that SEIU-UHW transfer its 65,000 long-term care members to a new union without first providing these members with a democratic vote on the matter. According to the lawsuit, the OSO Group prepared a written plan in advance of the surveillance operation, entitled “Security Operations Plan for SEIU,” which it presented to SEIU’s chief security consultant, Bullock & Associates, prior to the membership meetings. This is the first time that official sources have acknowledged that SEIU employed a professional intelligence firm to spy on its own members during their membership meetings. It’s unknown whether SEIU directed the firm to spy on other meetings of SEIU-UHW’s members or staff. Altogether, the lawsuit provides dramatic new details about the timing, funding and execution of the trusteeship. The news that SEIU’s top officials are spending millions of dollars of their members’ dues money to hire intelligence operatives and strike-breakers to intimidate and spy on SEIU members raises profound ethical concerns that demand immediate attention. Click here to read the full lawsuit, which includes the OSO Group’s wildly exaggerated claims about the violence that its gun-wielding agents feared from the healthcare workers who make up SEIU-UHW. 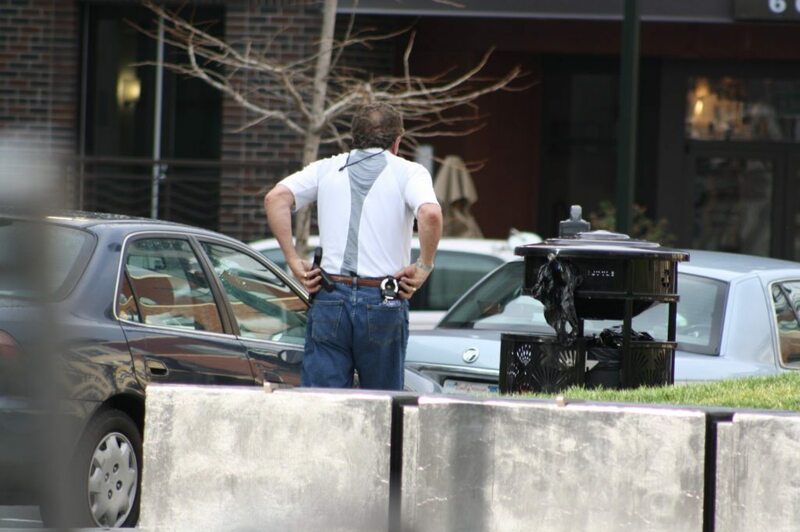 Click here to see pictures of one of the company’s plain-clothed, gun-toting agents on the sidewalks in front of SEIU-UHW’s Oakland office before the trusteeship.